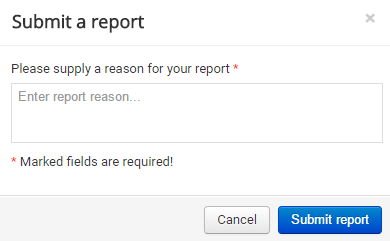 After clicking on Report, it will be mandatory to enter the reason for the reported item (e.g. robot, spam, inappropriate profile picture, offensive comment, duplicate account, etc.). These messages were considered as offensive/ inappropriate/ improper and have been reported. Here you can view the list with the reports and their main details like the reported item, the reason why it was sent and the date when it was sent. 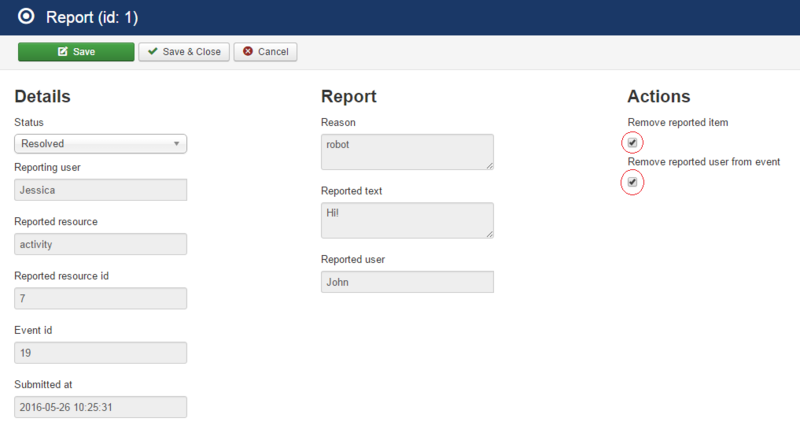 You can see if the issue was solved or not and a filter is also available which allows you to display only the resolved or unresolved reports. Click on a report to open the edit section where you can see more details (Reporting user, Reported user, etc.). You can choose to Remove reported item or/and Remove reported user from event. After selecting the action(s), change the status to Resolved and click Save. Users can only rate the events which they have attended. After the event has passed, the "View ratings" button will appear on the event page. Click on it and add your rating along with a comment. 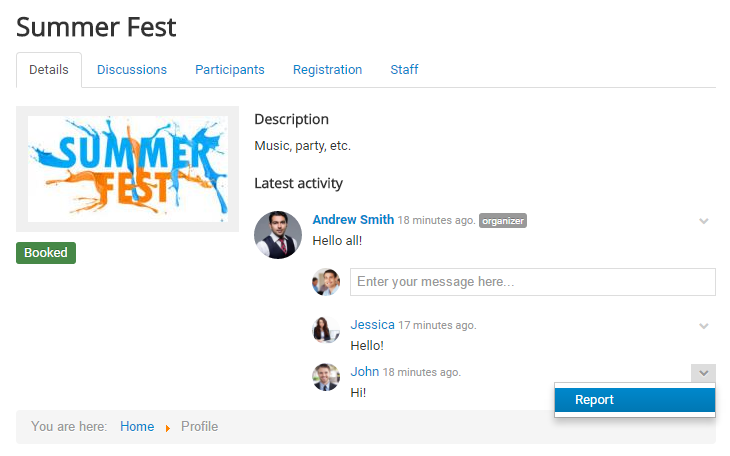 Rating is available only once for an event from each participant. Here you can see the ratings given along with the event, the participant, the content text and the date when the rating was placed. A filter is available to see the events with the same rating. If you want to delete a rating, you have to check it and click the Delete button.